It seemed like everything went well on Sunday. I just went from one thing to another. Our Sunday School class was great. Lots of participation throughout the room. As we studied about God’s presence we became aware that He was with us right there. Our morning worship service went well. God moved in the hearts of several that were present. I am so excited at this point about what God is doing in hearts and lives. I’m looking forward to seeing what God does in the lives of those who made decisions. The evening service was good as well. It seemed like everyone who was present was focused on what God was doing in the life of our church family. I always love the testimony time. It is great to hear people stand and testify concerning what God has done in their lives or the life of someone they encountered. After the service, I headed to my car. I got in and shut the door but not all the lights went off. I discovered that when I had written my beginning mileage down Sunday morning that I had not turned off the reading light. That meant that it had been on all day long. I reached up and clicked it off. Then I went to start the car. Fortunately it started right up! Even though the light had been on all day, it had not drained the battery. The only other time I had done that, the car wouldn’t start and I had to jump the battery. On the drive home from the church I thanked the Lord for watching over me and not letting the battery go dead. It was then that it hit me. God provided for me even when I didn’t even realize that there was a need. But the thing that hit me the most was the fact that the light inside my car kept shining even when I didn’t realize it. While that light could have stopped me from moving, God allowed it to shine and not cause an issue for me. Then my thoughts went further. I began to apply that to the spiritual life of one of God’s children. When we come to know Christ as our Savior, He places a ‘light’ in us that shines for all to see. That light is the love of God. When we know Christ as our Savior and Lord, there is a light that shines within us. It is the light of His love. 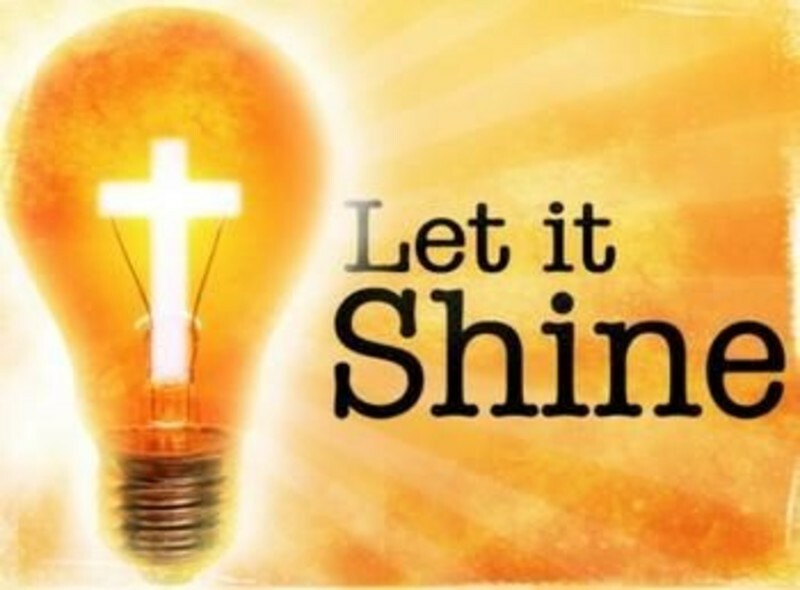 As you go through these coming days – “Let it shine – all over Pampa.” I promise you – His light will never lose its power!